May 15 • 9 a.m. – 3:30 p.m.
Free, high-quality teaching and learning resources for educators, students and families. Change the way your board does business with Assemble, OSSBA’s paperless meetings service. OSSBA can assist your school board in finding its new leader. We offer flexibility to the board and assure the board has total control of the decision-making process. Let the attorneys with OSSBA’s Employment Services save your district time and money when it comes to unemployment. 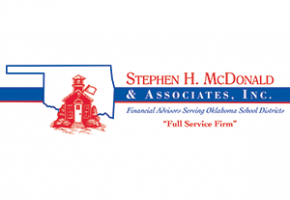 The Oklahoma State School Boards Association provides up-to-date information regarding policies to its members through Policy Service subscriptions. The Incumbent School Board Member Workshop is held in conjunction with the New School Board Member Workshop (runs concurrently with the Incumbent session) and the Making Student Achievement #1 Workshop on Saturday, April 27. Can’t make it to our Tulsa sessions? 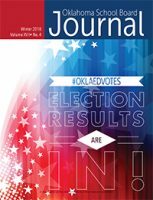 The New and Incumbent sessions will be repeated at the Edmond Conference Center on Saturday, May 4. Making Student Achievement #1 will be repeated at the Edmond Conference Center on Friday, May 3. For information or questions about the member portal, please contact Terri Silver or Lisa Deaton by email with your name, district, and email address or call 888.528.3571. The New School Board Member Workshop is held in conjunction with the Incumbent School Board Member Workshop (runs concurrently with the New session) and the Making Student Achievement #1 Workshop on Saturday, April 27. OSSBA’s advocacy toolkit provides tips on effective advocacy at the state capitol and in your hometowns.